I thought I would share the 2 pics below. 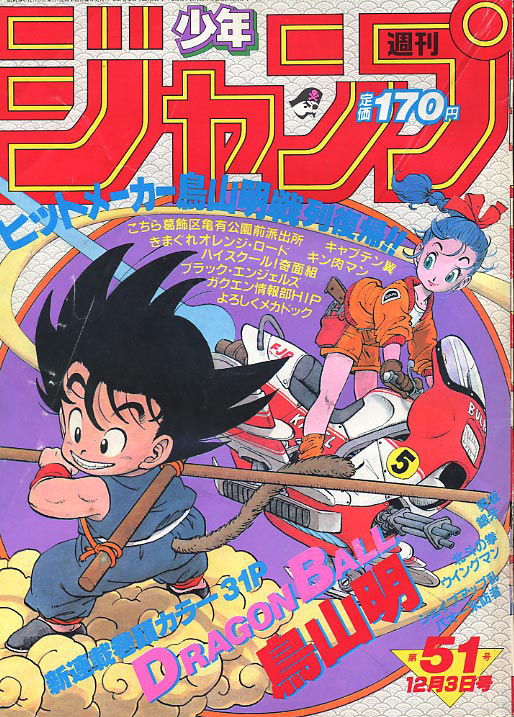 They are the first manga appearances of Dragonball from Shonen Jump in 1984 and Maziinger Z from Shonen Jump in 1972. Just cool! What others do you know of? Throw some pics and educate the masses! 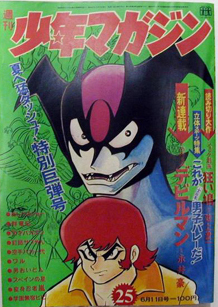 Here is Devilman's first manga appearance from 1972! I own this one. So, after a long time searching I am finally getting the first appearance of Mazinger Z!! Should be here in about a week. Pic (low res for now) attached. Yippie!! Here is a better scan of the cover. 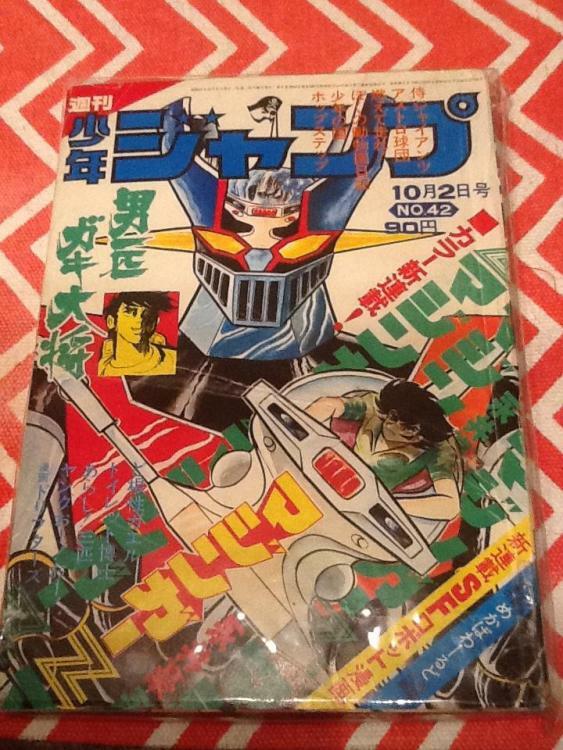 Such a rare and cool find! 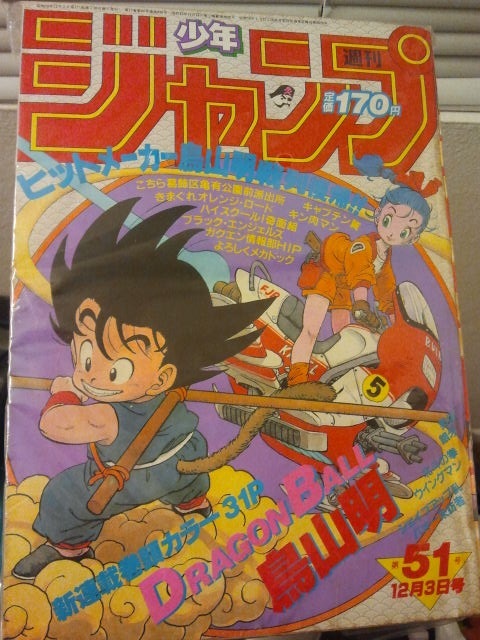 I finally got the first manga appearance of Goku and Bulma with the first Dragon Ball chapter in Weekly Shonen Jump No. 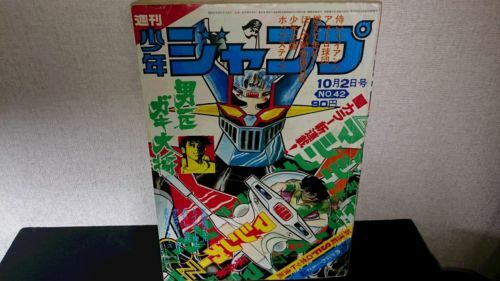 51 from 1984! Quite a hard one to locate but worth the wait and searching! 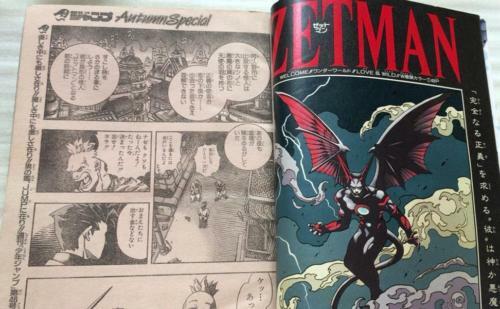 Here is the first appearance of Zetman! Really cool and hard to find. 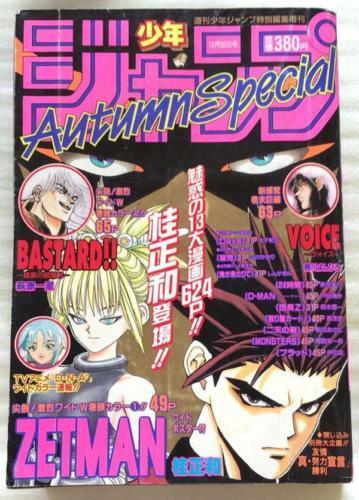 It is from weekly shonen jump autumn special 1994. 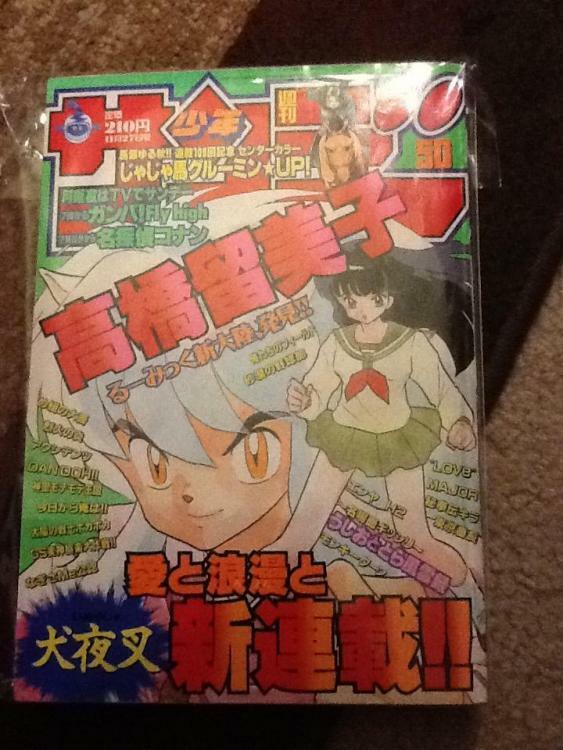 Here is the first appearance of Inuyasha from weekly shonen Sunday #50, 1996! 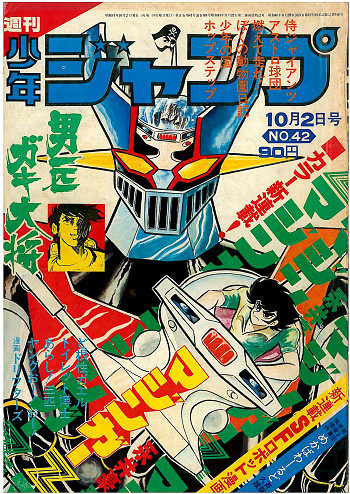 The first appearance of Baoh from weekly shonen jump #45, 1984! 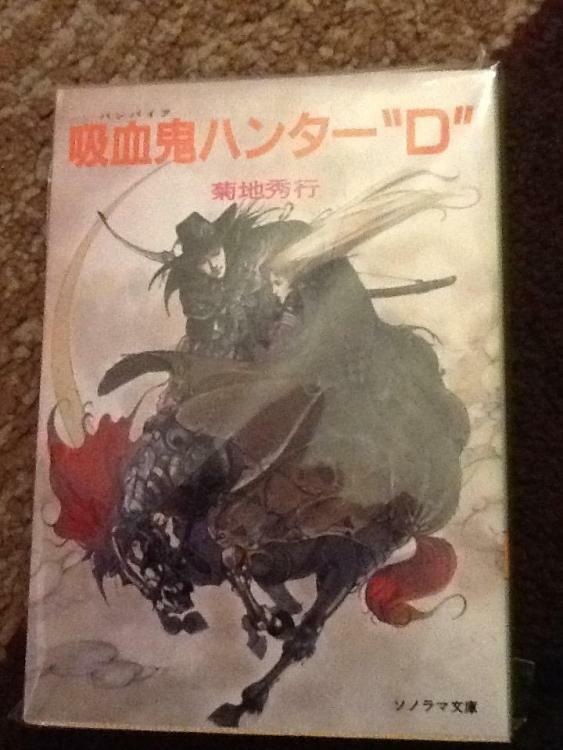 The first Vampire Hunter D novel! 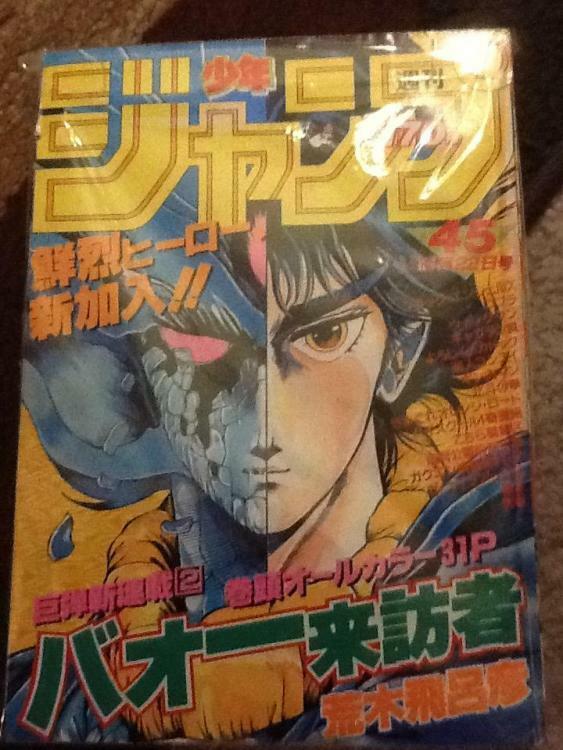 I have the first edition!